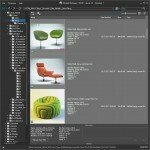 Drops support to 3ds Max 2012. The “Save Selected” now saves without materials in Slate Material Editor. [3ds Max 2014 and above]. Adds the option to reset rotations and set the position to origin for selected geometry before exporting using the “Save/Export Selected” option. Convert to Vray Proxy now uses optimisation for instances. Re-create your vray proxies in case if you have issues with rendering speed or cancellation/ending of rendering is slowly. Adds new callback – #preFileExport. This callback is called when adding a model from the scene to the library or exporting 3D files to other formats via the menu item “Export to:”. 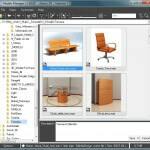 Related to "Models Manager v.1.77.00"